is the number one pharmacy in all of Tijuana. 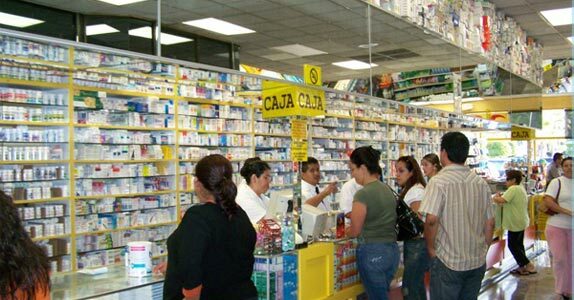 Yes, Gusher Farmacias, which is the leading drug store in Tijuana, has five locations to serve you. Their closest location to the US/Mexican Border is in the Plaza Rio Tijuana Shopping Center (10). See Map. Most people get to and from Gusher Farmacias by bus from the United States side of the border via a bright red Mexicoach Bus from the Border Station Parking Lot (1). Mexicoach makes round trip departures every 30 minutes throughout the day from 8 a.m. to 9 p.m. So instead of wandering around a foreign country, it makes a lot more sense to take this well-established professional bus line and let them take you to and from Mexico while you sit back and enjoy the scenery. The cost is a mere ($6) round trip. And American money is readily accepted. If you do decide to drive your car into Mexico, beware of the fact that your American Insurance is not valid in Mexico and you will be detained in Mexico until it is determined who is at fault, if you have the misfortune of getting into an accident. So get real and take a streamlined bus ride to and from the border to get your meds. The Mexicoach Bus drivers all speak English and are always happy to let Americans know when they have reached the big Rio Tijuana Shopping Center where the Gusher Farmacias Drug Store is located. Most people going to Tijuana for the day park at The Border Station Parking lot (1) because it’s safe and because the Mexicoach Bus line makes regular round trip stops here. The parking lot is well lighted and maintained 24 hours a day. Once you have made your purchases you can return to the United States via a Mexicoach bus back to the Border Station Parking Lot. Gusher Farmacias is a huge well stocked Drug Store. If you need to call them call (01152664-684-0235).Everyone speaks good English and are always happy to assist you. Gusher Farmacias is open 24 hours a day.They accept American money as well as Master Card and Visa credit cards. 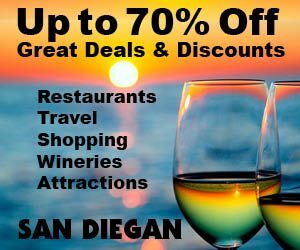 Plus, as an added incentive to shop at Gusher Farmacias is because they also offer a 26 percent discount on all merchandise in the store with their special client card. For an added bonus. can can call in advance of your arrival at (01152-664-684-0229) and ask for their 32 percent discount card. Visit their Web site at gusherfarmaciastijuana.com.mx for bigger savings. They sell Vivioptal multivitamin supplements here as well as drugs from Romania, Switzerland and China. Gusher Farmacias also has a popular Juice Bar where you can get delicious made-to-order smoothies and savory sandwiches while you wait to catch the Mexicoach bus back to the Border Station Parking Lot. 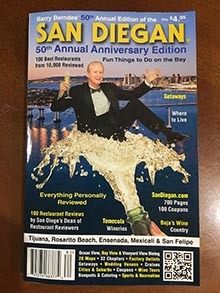 Since Gusher Farmacias is in the Rio Tijuana Shopping Center you will have to return to the curbside bus stop, which is about 25 yards from Gusher Farmacias to catch a ride back to the Border Station Parking Lot. To cross the border into Mexico and back into the USA, you will need a valid passport. If you are purchasing medical drugs you will need a prescription for a medical doctor. The HUGE advantage of purchasing medical drugs in Mexico is that they are much less expensive in Mexico. Also visit their Web site gusherfarmaciastijuana.com.mx for bigger savings.